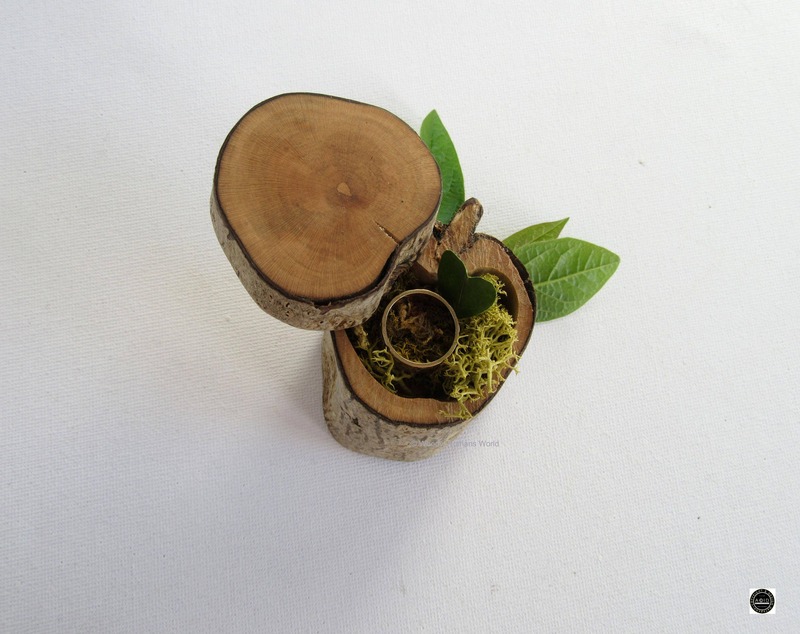 Woody gifts made in my *Woody Woman's World* with love and consideration for our environment. My first box in my * Fruity* collection of Ring Boxes. All boxes are discreetly signed on the base by me the maker. Made entirely by hand in the heart of my little Welsh Cabin with no complex tools just lots of love, heaps of passion and an eye for detail from wood harvested by a kind villager. 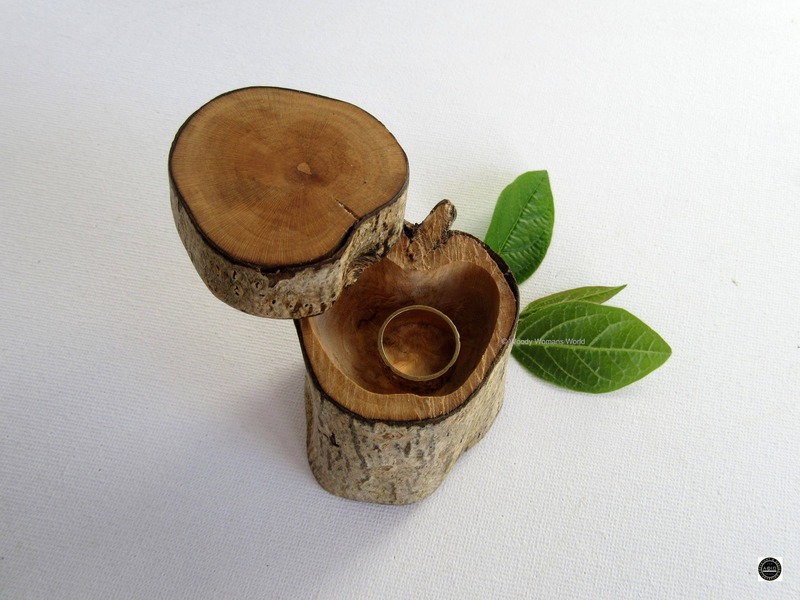 They are a lovely addition to a woodland, rustic or beach wedding or a loving gift for the person you love. My little boxes are perfectly made for uniqueness. I chisel, carve, cut, slice or smooth merely to reveal what is hidden away entwining them with my labour of love. I embrace each piece of wood to highlight its shape, colour or texture to hopefully create something that is special, beautiful and functional. This little box is perfect for gems and little treasures, chains and rings. keep in a cool dry place. For all you fruity lovers out there this is the first box in my ***Fruity Collection**** A beautiful and really unique little box named Apple. Made from a well seasoned hardwood which has been harvested locally in my little Welsh village. 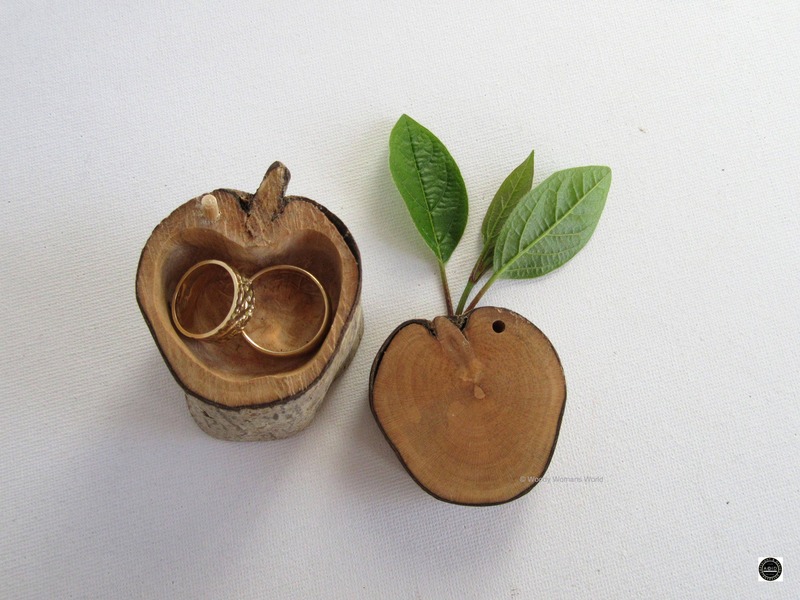 The ring space is hand cut in an apple shape and holds two rings snuggly. Please contact me if you are unsure of the size. This box is perfect for the end of summer and early Autumn wedding. Very quirky and only one. The box can be personalised on the top, on the ring base top or underneath the box. Perhaps initials, date or something a little fruity, the choice is yours so let me know your thoughts. For something a little different please feel free to message me. Size of the apple shaped ring space is approx. 3.9 at its widest and 2.9 at it's narrowest and a minimum of 1.5cm depth but can be deepened if required. 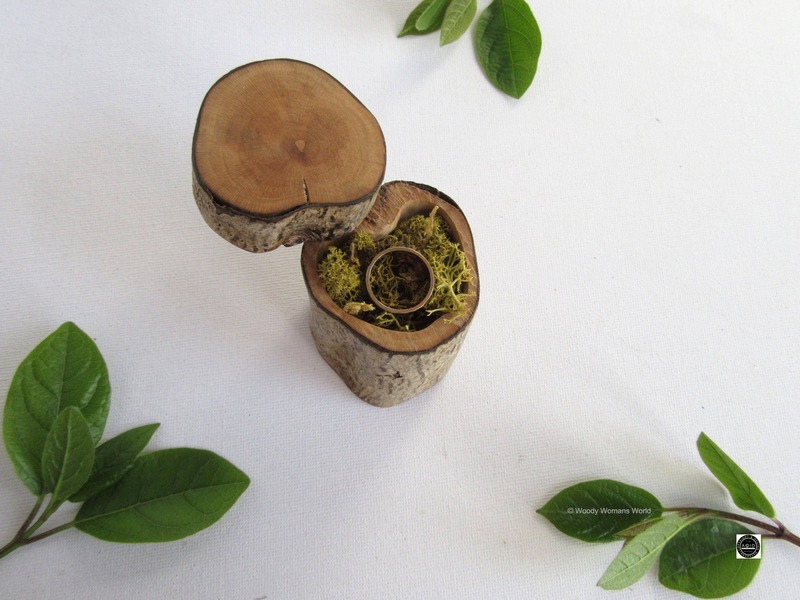 You will also receive a sprinkling of organic gems which include moss and foliage. However these will not be the leaves in the image, however they will have been harvested and preserved by myself here in Wales. The jewellery is for display only. If you are unsure please convo me. 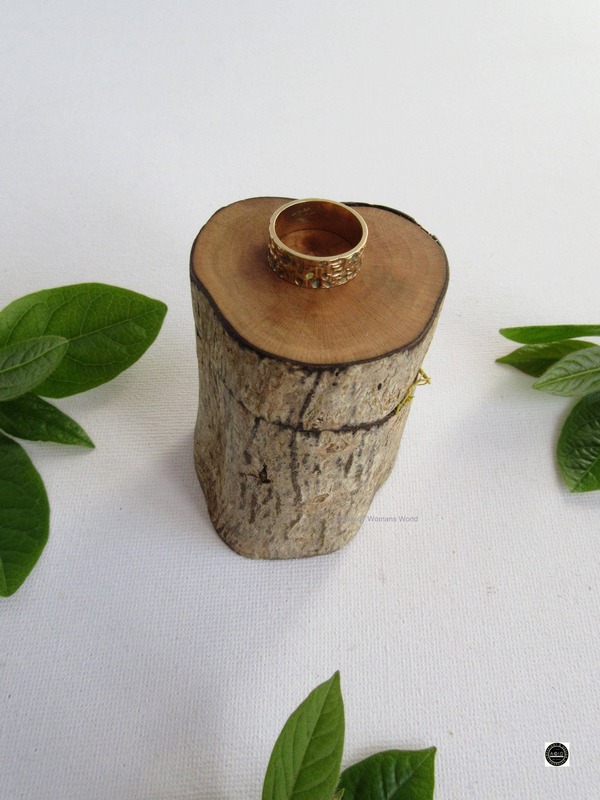 The ring box will be beautifully wrapped and sent Signed For delivery and a signature will be required on it's arrival. The link below takes you to the Ring Boxes section. I am always around and more than happy to help. Thank you for sharing your time ! Any business that would like to purchase my work kindly contact me for wholsale prices and quantities. I am always happy to create custom pieces on all of my items. After discussion a custom listing will be created so you may purchase your custom order. All items must be paid for before starting order. All my handmade products are suitably gift wrapped and well packed for their journey. Packaging is carefully sourced and includes recycled and eco friendly wrappings. Depending on the item purchased protective finishes vary. For example, if a sign is custom made full details on how to maintain your sign will be given to you via our discussion. Outdoor finishes are offered for items which are subject to the elements. To maintain your items regular protection must be applied. Do I have a website? There are various shipping options available. Most of my items are sent on a Signed for Delivery for peace of mind of a secure delivery. If you wish to have your item sent on a shipping option that I have not listed please feel free to discuss this with me. Options available include Special Delivery for both weekdays and weekends. Large items such as sculptures are sent on a 24-48 hr courier delivery. Products sent to USA are sent via Royal Mail on an International Tracked and Signed for delivery ensuring a safe arrival at your doorstep. Kindly keep in your thoughts that all wooden items will vary slightly such as wood grain, colour, size. This is the unique nature of wood and each piece will have a life of it's own . The quality and aesthetics will always remain the same. The majority of the wood I use I source locally in my village and always from sources that are considerate towards our environment. For example, during controlled tree management, kind offerings from locals, supporting local trade and often lucky finds, but always considerate. As I know where it has come from, it always has a story to tell.